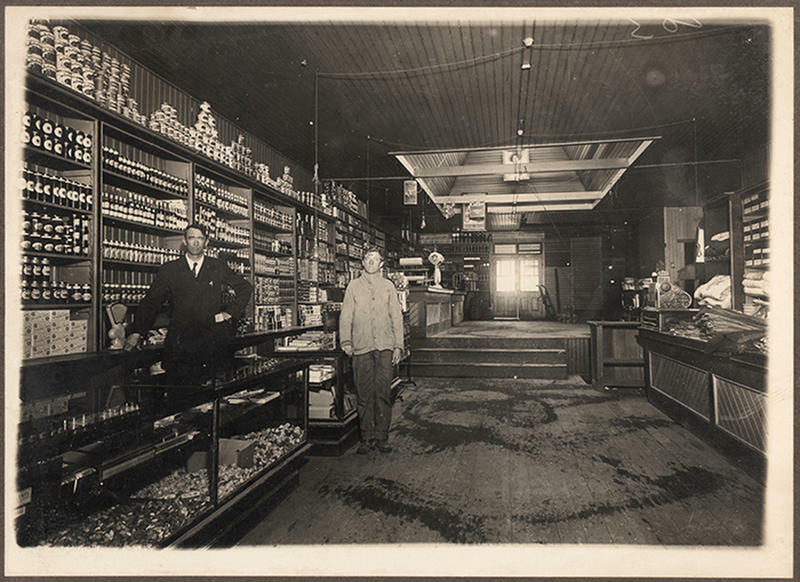 Photos are our window to the past, sometimes literally in the case of composite images and photo overlays. 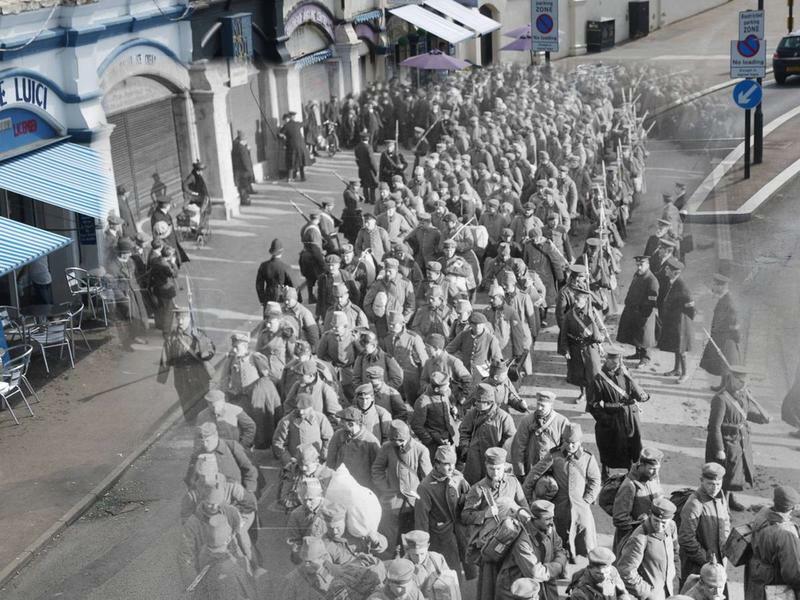 Whether it's a photo showing how a location appeared years ago, or a look at the site of famous historical events, here are some incredible historical overlays. 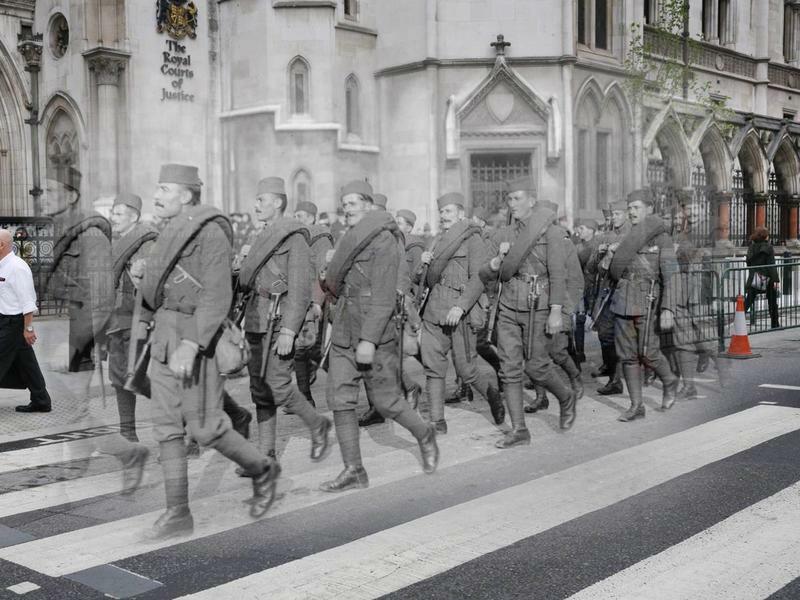 Serbian soldiers marching in the Lord Mayor's show in the last days of World War I in November 1918, while people walk past the Royal Courts of Justice on July 11, 2014 in London, England. 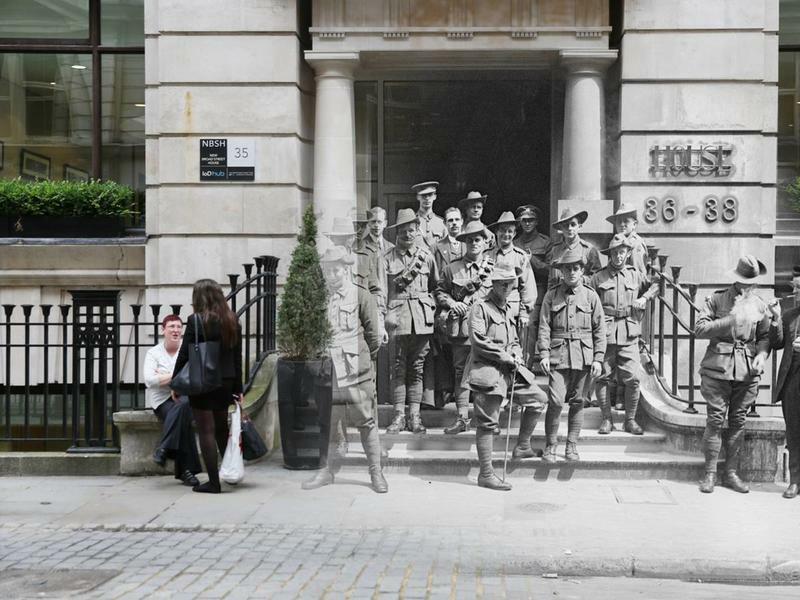 Australian soldiers outside Egypt House in New Broad Street, London where The Australian Bank is housed on June 23, 1917, while office workers take a break outside the former Egypt House on July 11, 2014. 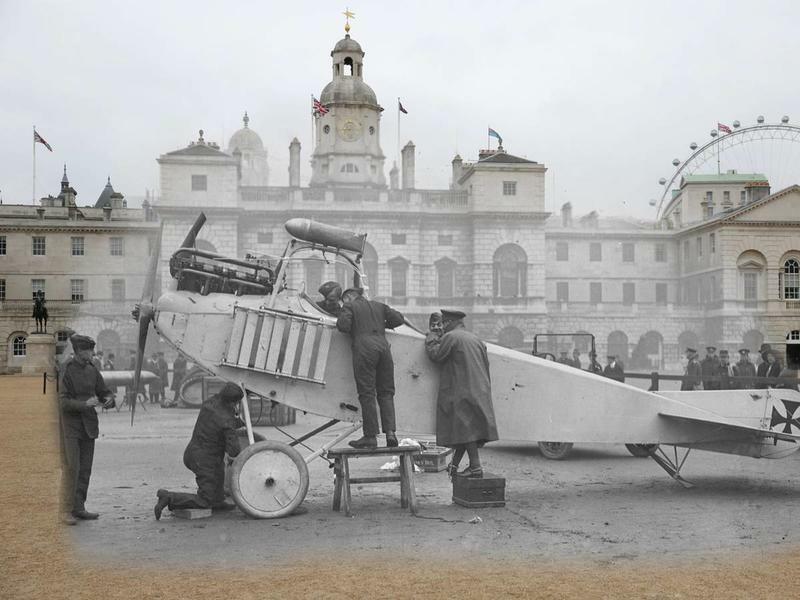 British soldiers inspect a captured German plane in the Horseguards' Parade, London during WWI, November 1915. 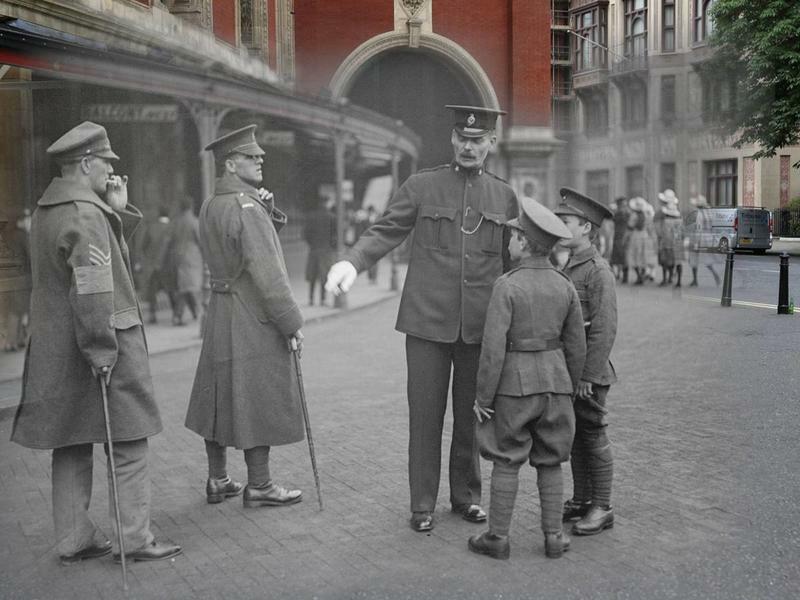 Wounded soldiers and cadets at the Albert Hall on Empire Day, May 1918 in London, England. German prisoners of war during WWI on their way to Southend Pier are accompanied by guards and watched by the local populace in 1914. 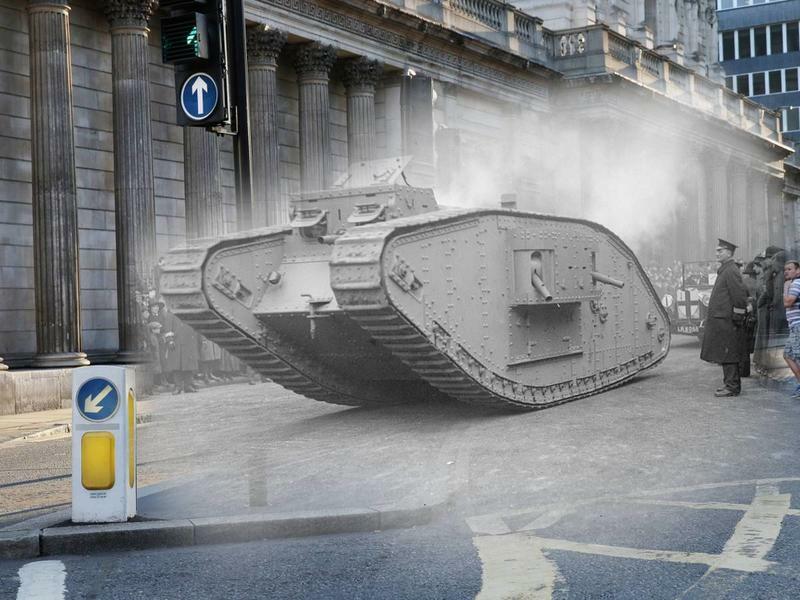 In this digital composite, a 'male' MKIV tank is seen at the Lord Mayor's show in November 1917 in London, while early morning light hits the Bank of England on July 17, 2014. 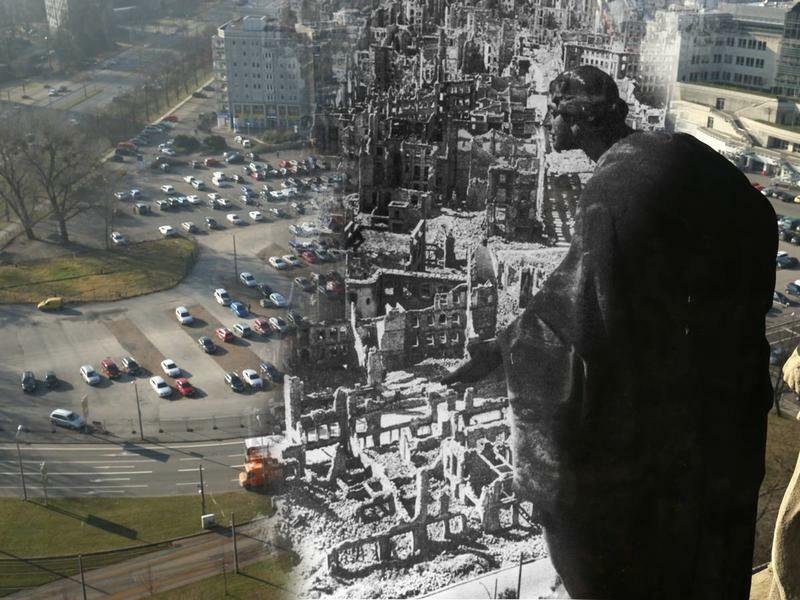 The tower of Dresden City Hall looking down at the ruins of the city center wrought by the three continuous days and nights of Allied firebombings on February 13, 1945. Same scene on February 12, 2015. 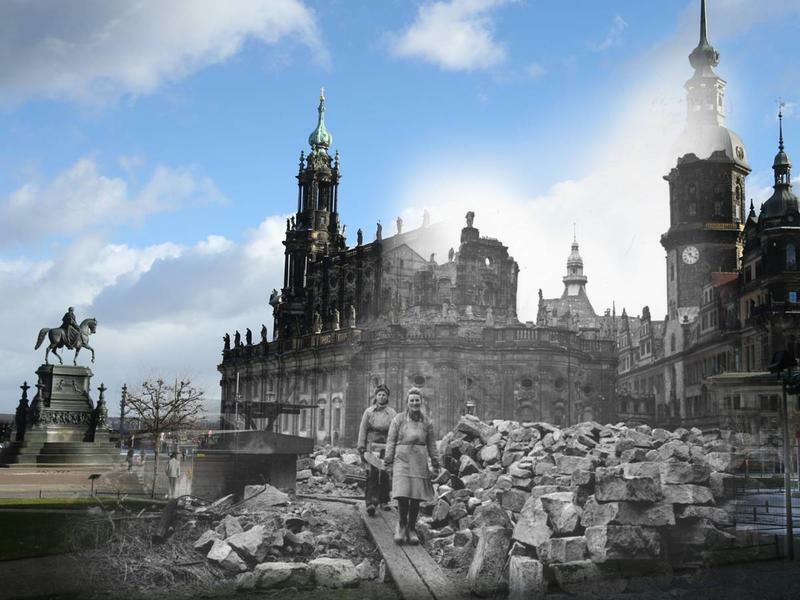 The ruins at Theaterplatz square in 1946 Dresden, still wrecked from the Allied firebombing of February 13, 1945, as well as the square today, including the Catholic Hofkirche church and Residenzschloss Dresden palace, February 7, 2015. 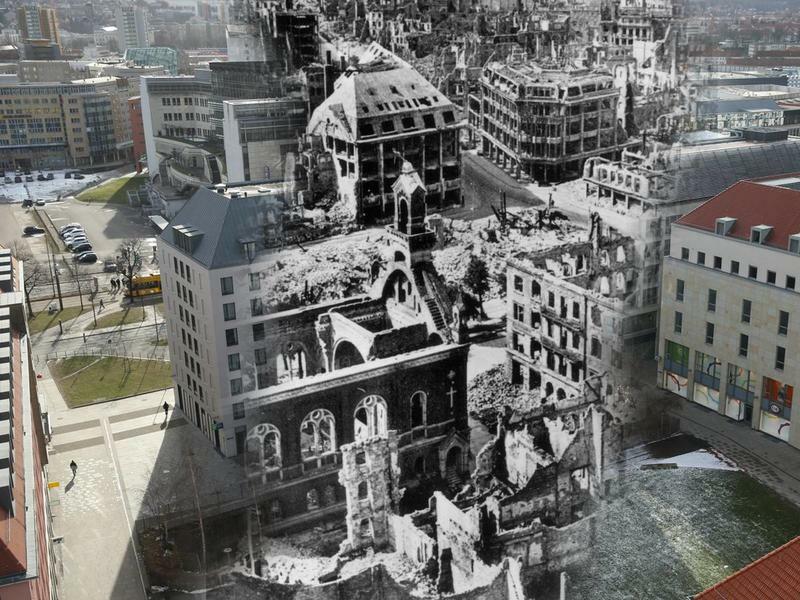 The ruins of the Dresden city center, including Prager Strasse, following the Allied firebombing in 1945 as well as the same view on February 7, 2015. 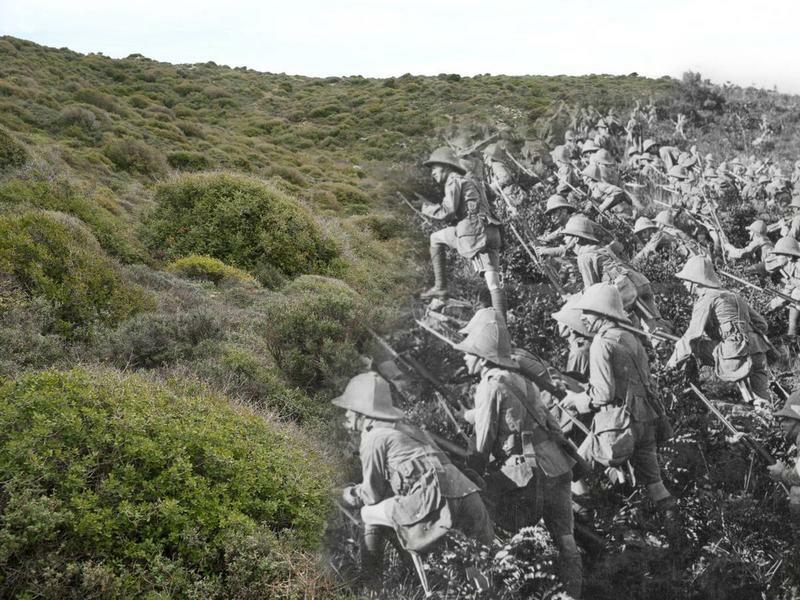 British troops advancing up a hillside on the Gallipoli Peninsula on August 7, 1915 and a hillside at Suvla Bay, where the British offensive took place. 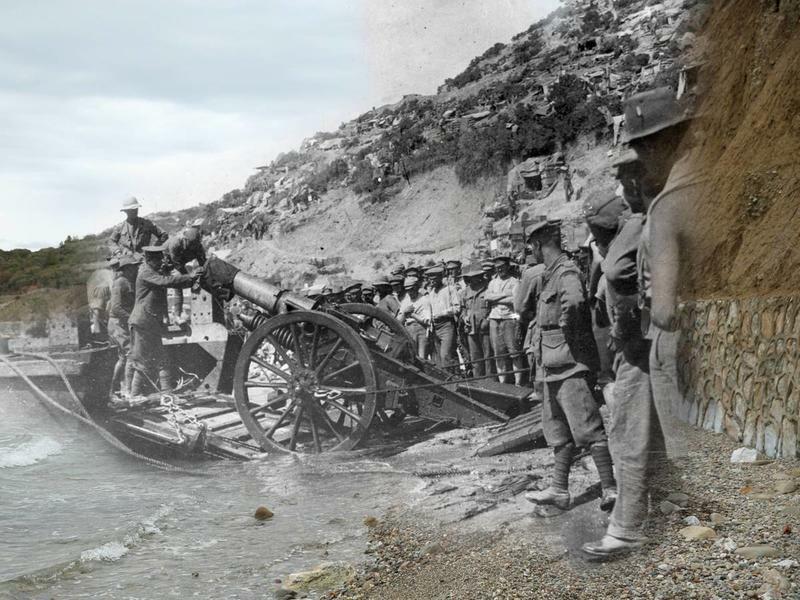 Troops landing at Anzac Cove during the Gallipoli campaign and Anzac Cove, April 7, 2015. 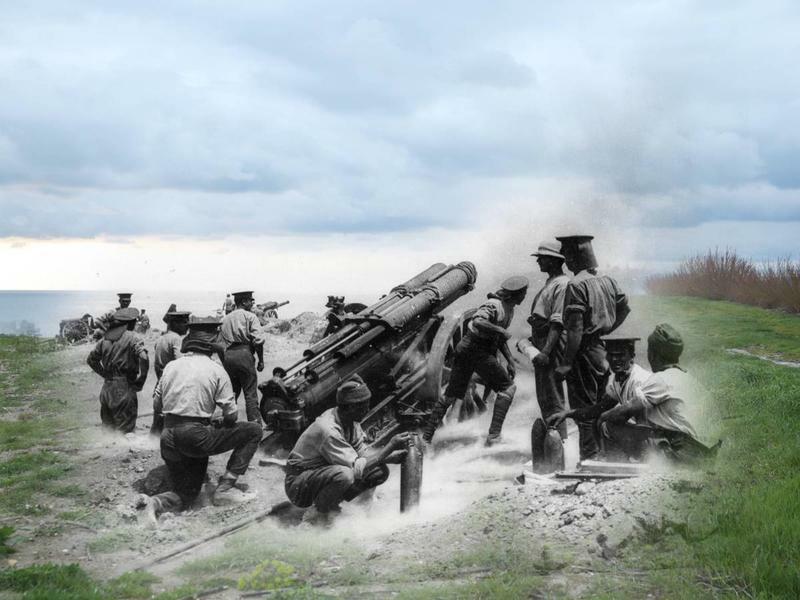 A British 60-pounder heavy field gun in action on a cliff at Helles Bay, Gallipoli, Turkey, during the Gallipoli Campaign in 1915 and a meadow at Helles Bay on April 7, 2015. 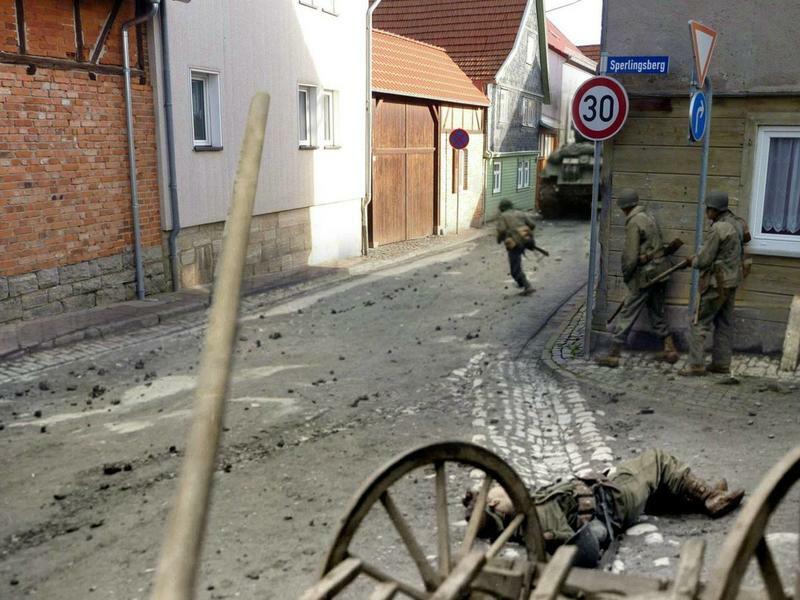 American soldiers crossing a street in West Germany behind a column of Sherman tanks, having lost one soldier to sniper fire, sometime in 1945. 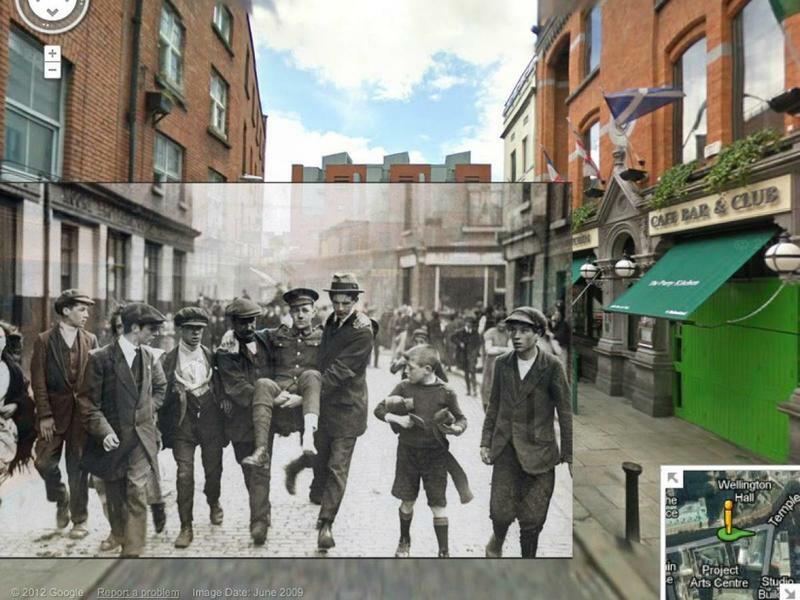 A photo overlay shows a soldier being carted out of the Temple Bar in Dublin, Ireland, around 1920, with the modern image supplied by Google Street View. 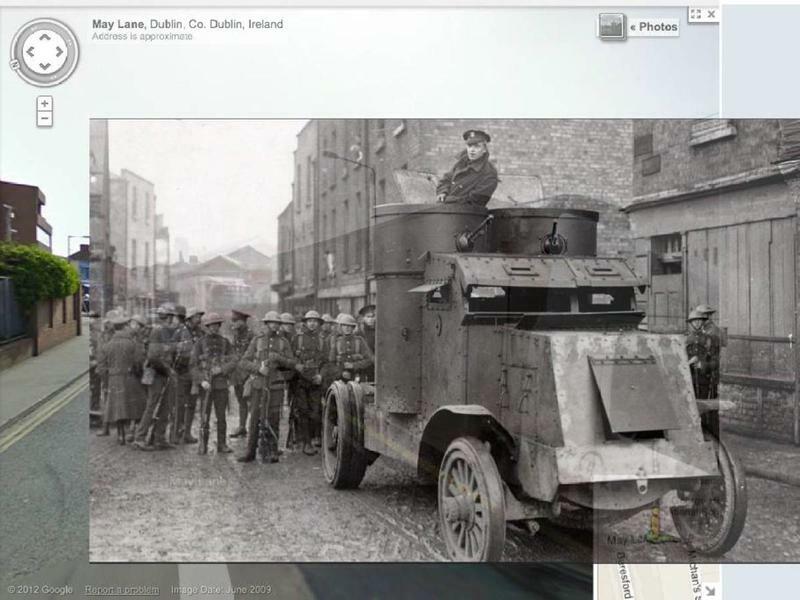 Soldiers and an armored car are seen on the streets of Dublin during WWWI, overlaid the same scene today. 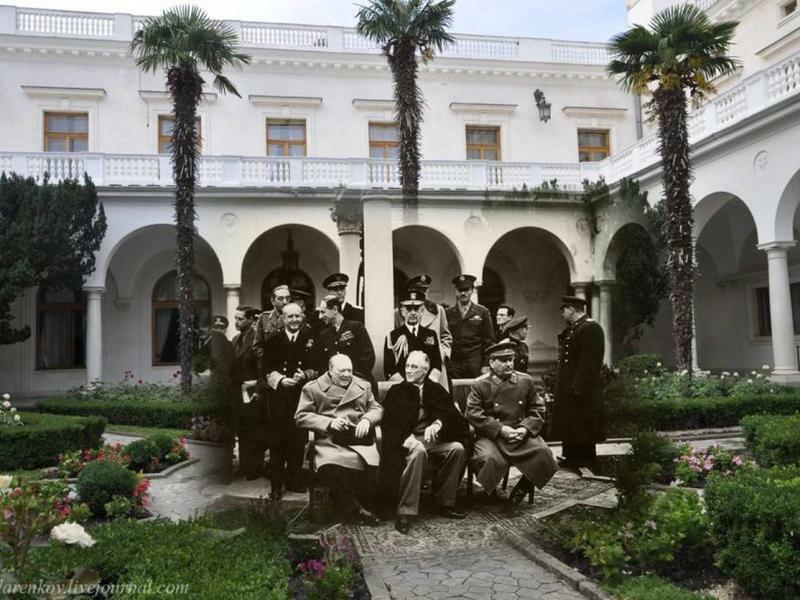 Winston Churchill, Franklin Roosevelt, and Joseph Stalin sit for a photo op at the Yalta Conference in February, 1945, with the modern scene composited in the background. 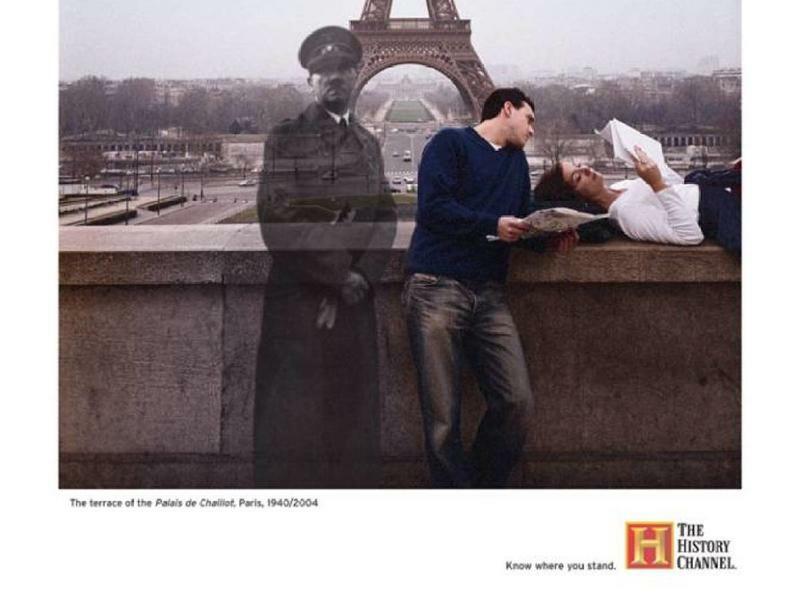 Adolf Hitler seen standing in modern Paris, photo overlay created for the History Channel's "Know Where You Stand" campaign. 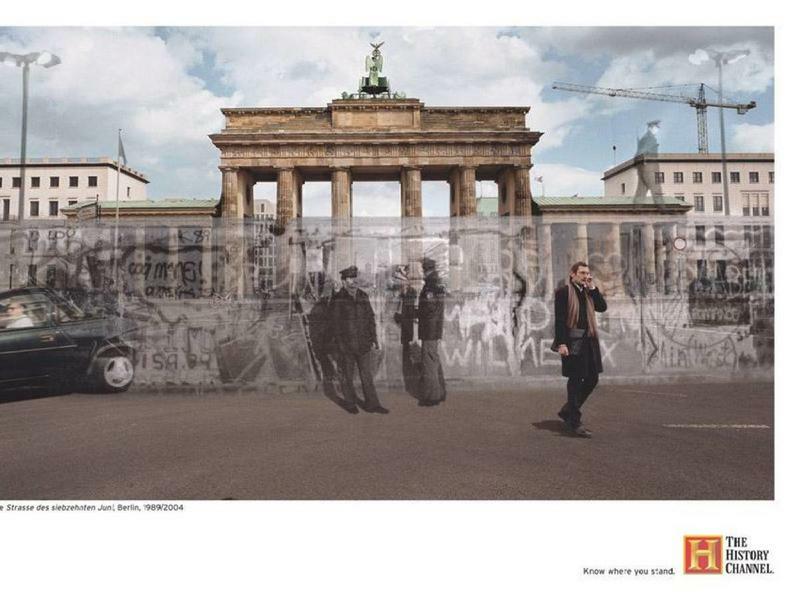 The Berlin Wall as seen in modern Berlin in a photo overlay created for the History Channel's "Know Where You Stand" campaign. 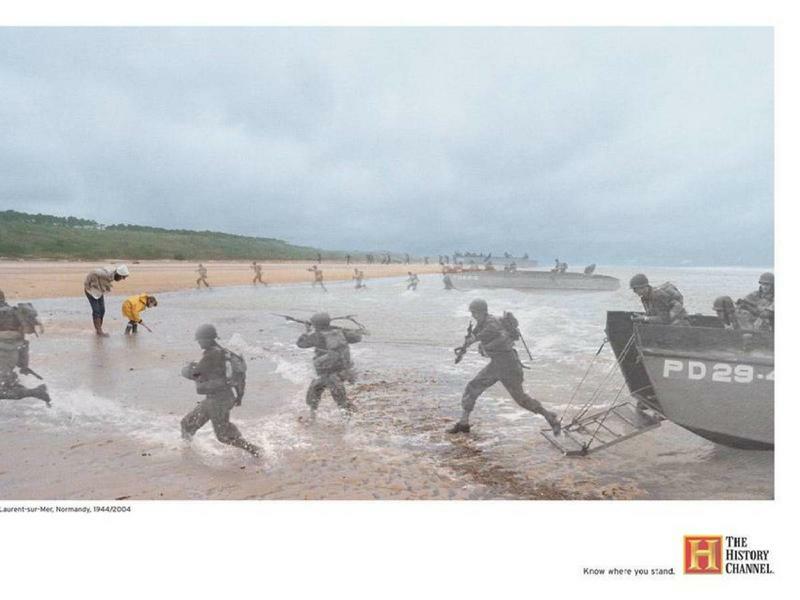 American soldiers during the D-Day landings and the modern day beach in a photo overlay created for the History Channel's "Know Where You Stand" campaign. Tsar Nicolas II addressing a crowd from the balcony of the Winter Palace on July 20, 1914, a day after Russia formally entered WWI. 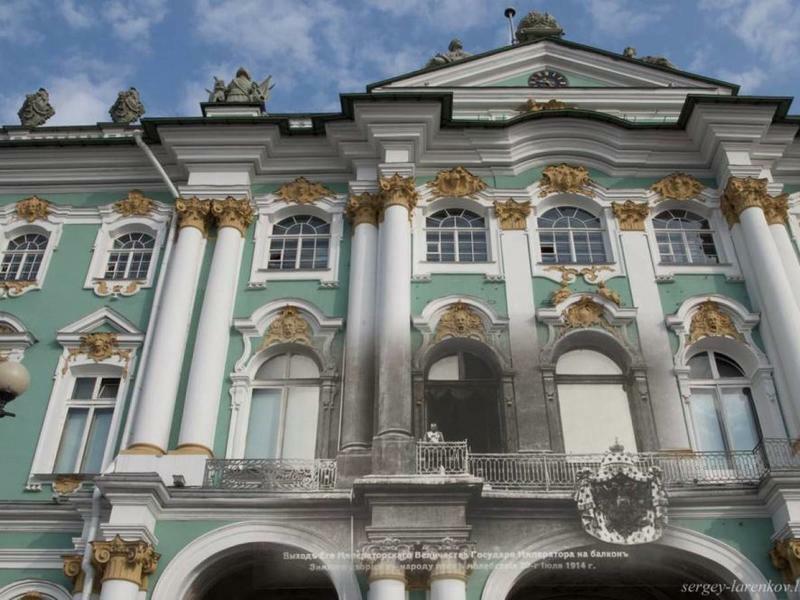 In the composite, the modern palace is seen today. 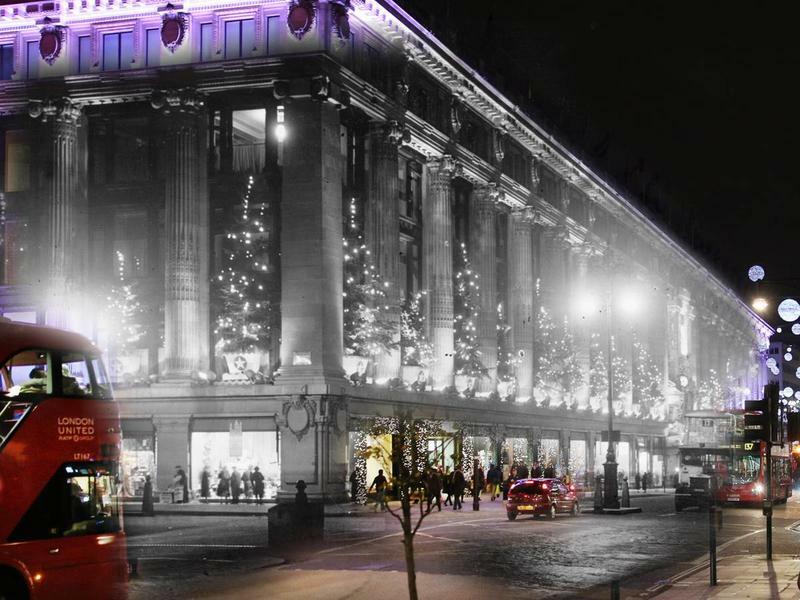 Selfridges Department Store on Oxford Street on December 6, 1935 in London, England. 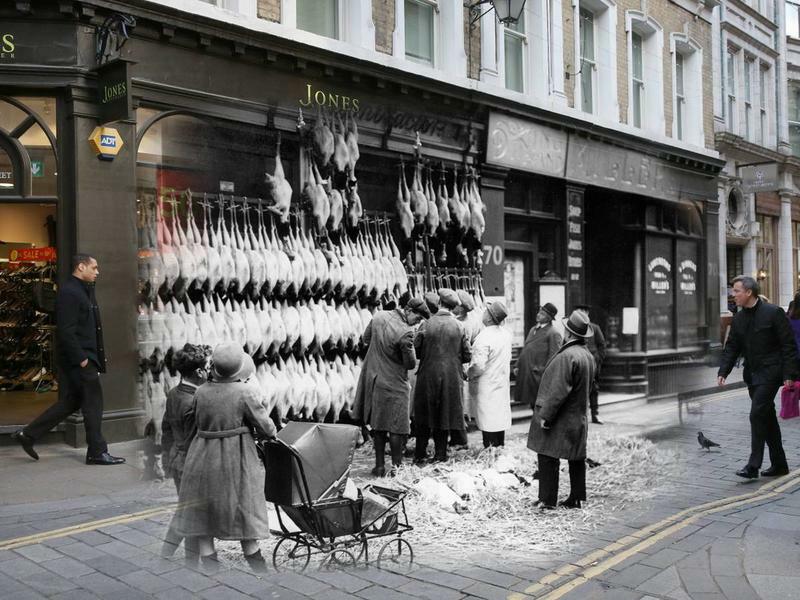 Christmas turkeys, hanging outside a poultry shop in old Watling Street on December 1923 in London, England. 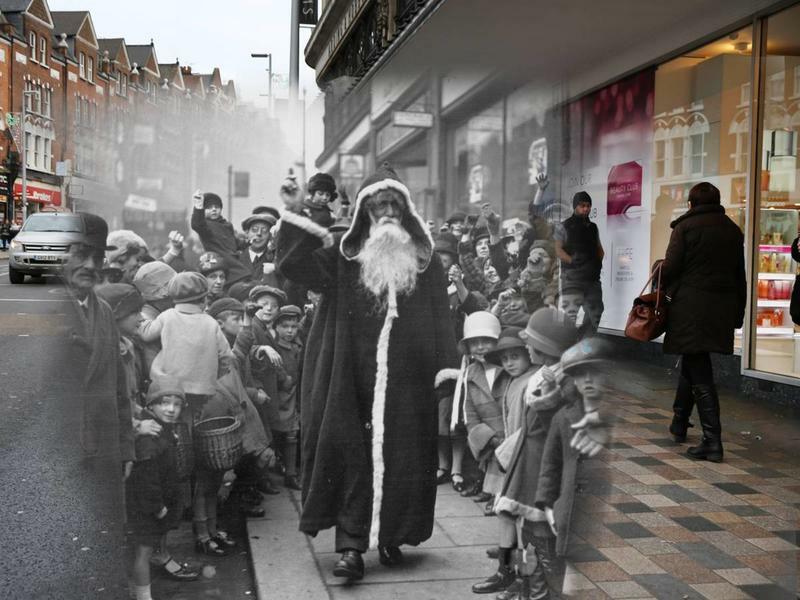 Santa Claus arriving at the Arding and Hobbs store on November 2, 1926 in Clapham Junction, London. 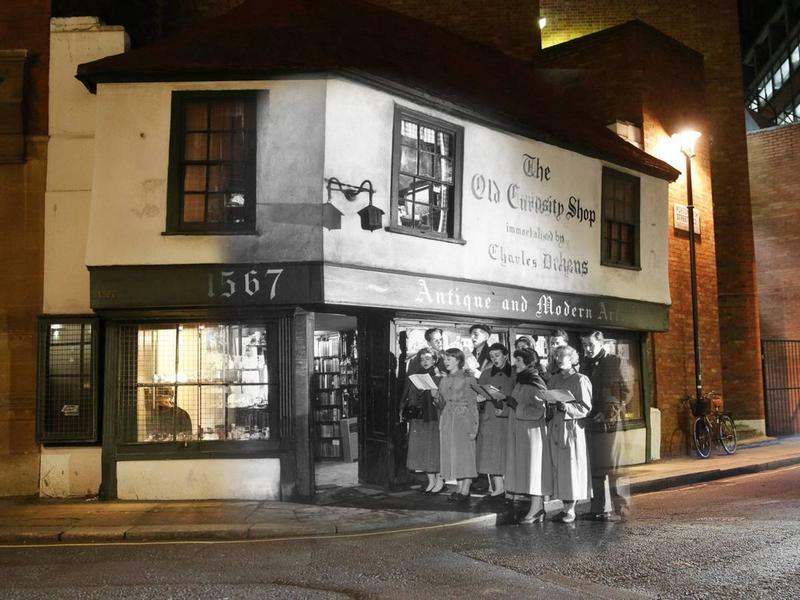 Students of King's College carolling outside the Old Curiosity Shop, as immortalized by Charles Dickens, on Portsmouth Street on December 12, 1956 in London, England. 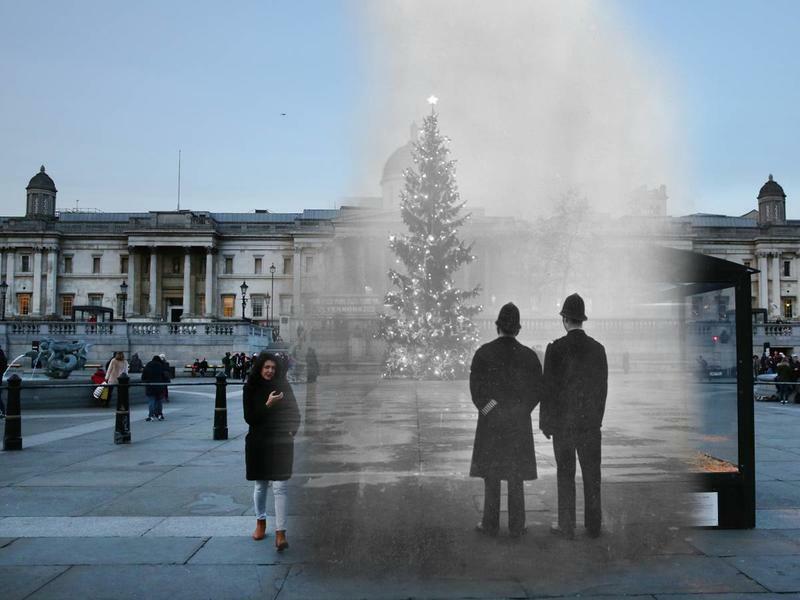 Comparing Trafalgar Square in 1948 and modern day 2014 at Christmas time.